Find love, friendship and prosecco – in the magical city of Venice. Life is tough for Penny. A dead end job in a London café, a boyfriend in Australia (what could go wrong?) and an art career going nowhere. But then Penny is approached with an extraordinary proposition. It isn’t going to be easy but, if she can pull it off, she will turn her life around and at long last see the fulfilment of her dream – to visit Venice. And, just maybe, find true happiness with the handsome man of her dreams. But can dreams come true? And without further ado, here is the Q & A I promised you! Keep reading down to find out more about the author, links to buy the book and the Goodreads page. First question-bit of a cliche-how did you get into writing? I’ve always written. I’ve still got all 44 handwritten pages of “The Lake Dwellers” (a shameless ripoff of Swallows and Amazons) written at the age of 13. When I was working full time, I used to write in the evenings as relaxation. Do you write full time & if so, have you always done this? I do now. I gave up the day job ten years ago (I am very old!) and now concentrate on writing. I usually write three books a year. Do you have a particular writing style or genre that you prefer? Writing style? I do like a bit of humour. Even in my “serious” books, like Chasing Shadows, there has to be somebody with a sense of humour. We humans take ourselves far too seriously. As for genre, I’ll write anything. At the moment I’m enjoying myself writing romantic comedies, but I’ve written thrillers, historical novels and romance. How do you develop your characters as you write, are any of them based on real people? None really based on real people, although there will always been traits I have observed in friends and acquaintances that slip in. Most all are out of my imagination and they develop pretty much under their own steam as the book evolves. 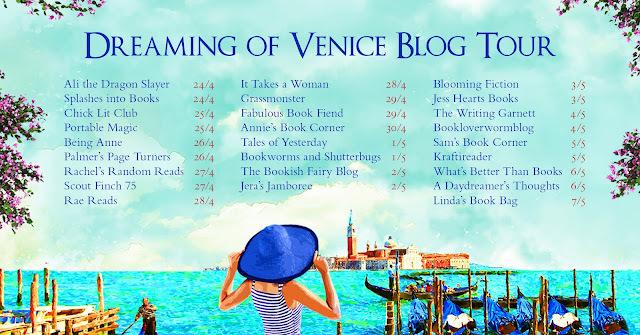 What was the inspiration behind Dreaming of Venice? Firstly, I love Venice. I lived in Italy for 8 years and I love the whole country, but Venice is totally unique in the world. I have always wanted to write a book about “La Serenissima” (as the Venetians call it). As for the story, I think it was watching the wonderful TV version of John LeCarré’s The Night Manager that gave me the idea of somebody impersonating somebody else. What is your writing process-do you map it out first? Write a bit at a time? Not really. I start with a setting and a main character or two and a rough idea of what’s going to happen and then let it lead me along. I’ve always been terrible at writing synopses in advance. They always change. How much of you is reflected in your writing? Seeing as my main characters are usually women, probably not that much. Yes, they all tend to be good at languages (that’s about my only talent) and they all like good food and wine, dogs and Italy. What kind of research did you do before/during writing your latest book? My wife and I went to Venice for a few days and stayed in an amazing 5 star hotel – that’s classified as research and it’s tax-deductible, you see ☺. My wife is an art historian, so she was a terrific source of advice on painters and painting. How much attention do you pay to the reviews that you get? Are friends and family supportive of your writing? How do you feel leading up to your publication day? Dreaming of Venice will be my eleventh published book, but there is still the same nervousness. 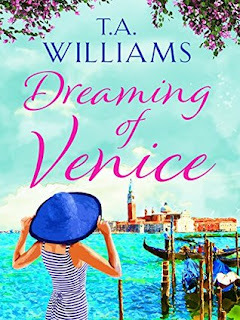 I scan the ratings, wait anxiously for the first reviews (thankfully, reviews for Dreaming of Venice are looking very good so far) and know that publication day itself will see me firmly rooted to my chair in front of the computer screen, hard at it with social media. Which other authors inspire you or are there any you particularly enjoy reading? To be honest, I don’t really read any romcoms. I enjoy romantic comedy movies like Four Weddings and a Funeral, but don’t know much about other authors’ take on the genre. Most of my reading is thrillers (LeCarré is amazing!) or non fiction. I’m a closet history junkie. Finally...what are you working on right now? My background, before taking up writing full time, was in teaching and I was principal of a big English language school for many years. This involved me in travelling all over the world and my love of foreign parts is easy to find in my books. I speak a few languages and my Italian wife and I still speak Italian together. I've written all sorts: thrillers, historical novels, short stories and now I'm enjoying myself hugely writing humour and romance. 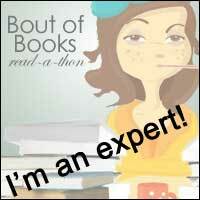 My most recent books are the What happens… series. What happens in Tuscany reached #1 in the Amazon.uk Romantic Comedy chart and What Happens on the Beach, the last in the series, came out in July. Chasing Shadows is still romance, but with the added spice of a liberal helping of medieval history, one of my pet hobbies. I do a lot of cycling and I rode all the way to Santiago de Compostela on a bike a few years back. This provided both the inspiration and the background research for Chasing Shadows. I’m originally from Exeter, and I’ve lived all over Europe, but now I live in a little village in sleepy Devon, tucked away down here in south west England. I love the place. Thanks so much to TA Williams for stopping by today. Don't forget to stop by the other wonderful blogs and see what else this fabulous blog tour has to offer!